Local SEO is fast becoming a high priority for many businesses. Last year, Google published a study showing a 500% increase in “near me” searches, including variants of “can I buy” or “to buy” from the previous two years. Google also said it had seen a 900%+ increase in mobile searches for “near me today/tonight” over the same period. 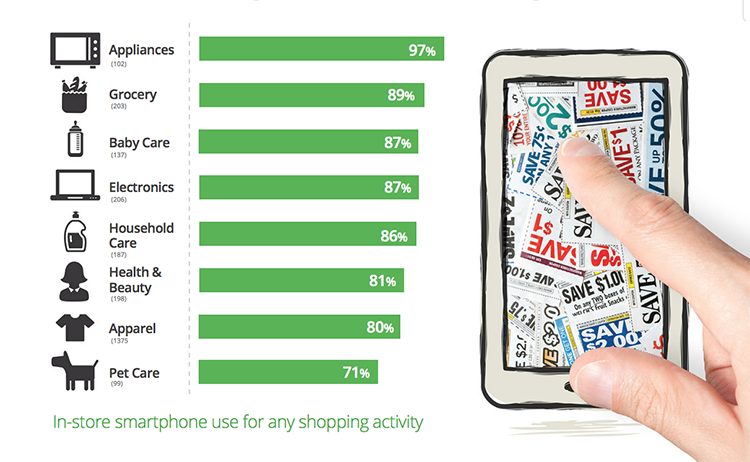 A few months later, a separate study revealed that 82% of shoppers using smartphones conduct “near me” searches. Clearly, “near me” searches are a trend brands can’t afford to ignore in 2019. But they’re only one aspect of local SEO – something that’s becoming increasingly important to a wider range of businesses. The divide between online and offline interactions along the consumer journey is getting narrower every year. 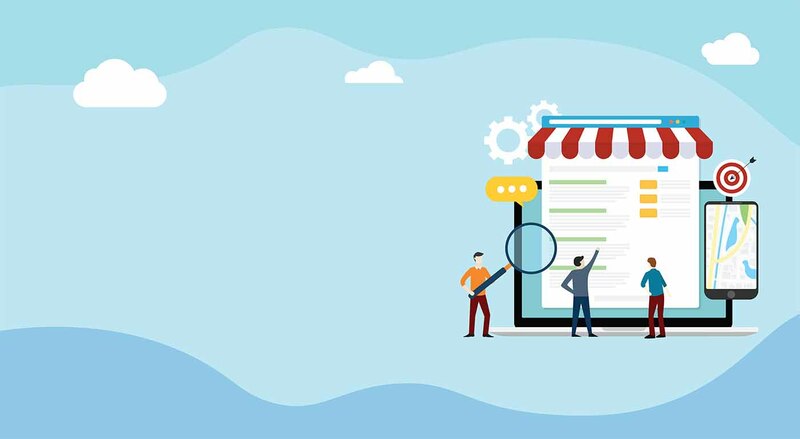 Local SEO is shaping up as one of the most important lead generation strategies for brands that want to turn search queries into customers walking through the door. 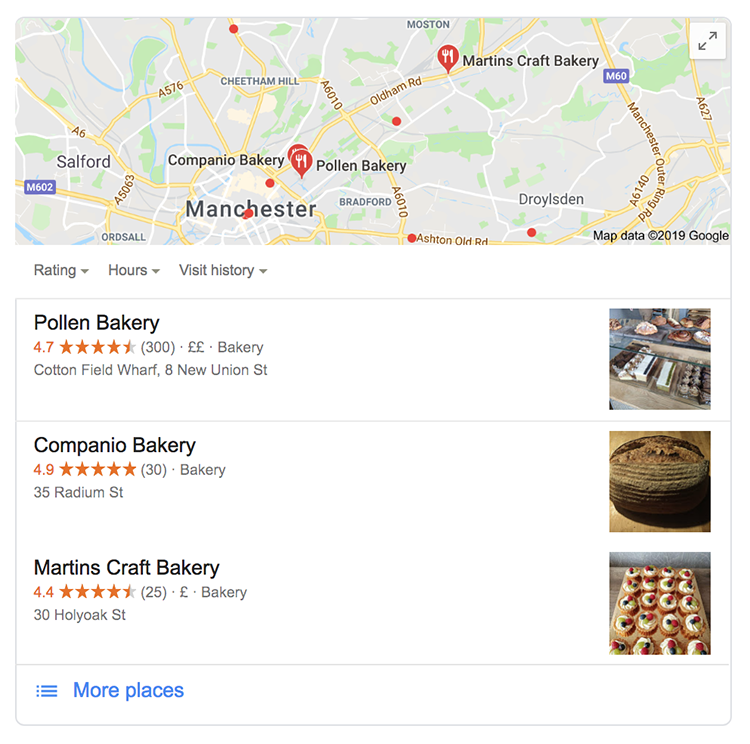 What does local SEO look like in 2019? Of course, it’s important to understand how Google’s algorithm deals with local queries, but the most significant change over the past few years has been user search habits. Mobile has completely changed where and how people interact with search, so understanding your target audience’s search habits is crucial. “Near me” searches should be a priority for most brands because they generally have a strong purchase intent and suggest users are in a hurry to get what they’re after. Having said that, these aren’t the only local SEO trends you should be paying attention to in 2019. People also turn to Google to search for flights and hotels in destinations thousands of miles away (hardly “near me” searches). There are plenty of other platforms like Trivago, Skyscanner and Kayak offering this specific location-based service. To really understand the role mobile plays in modern search though, you have to pinpoint the small issues it solves for users. 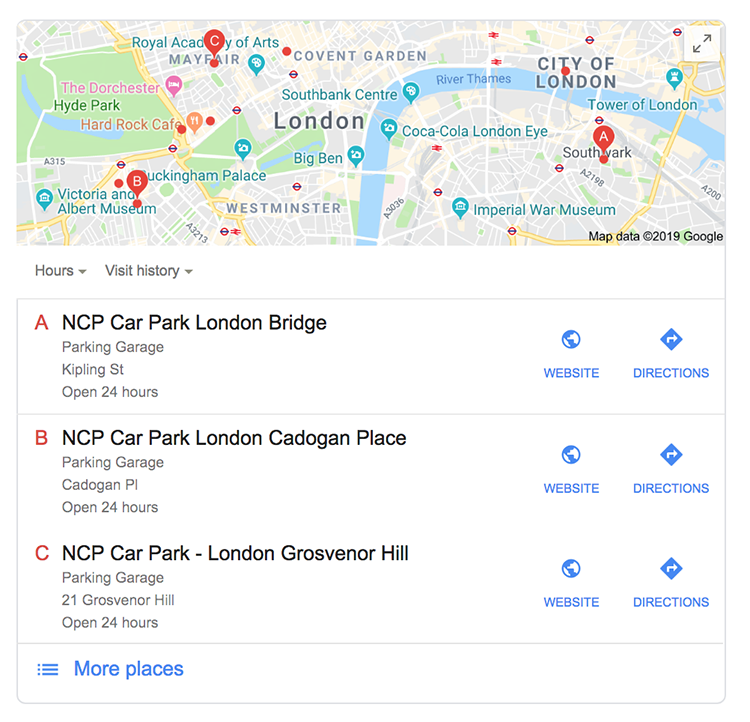 Someone looking for a car park in London isn’t going to drive around in rush hour until they stumble across somewhere to leave their car; they’re going to pull up and quickly search for car parks closest to their destination. Likewise, someone with busted pipes on a Sunday morning isn’t going to call every plumber in the area just to ask them if they can come out. They’ll specifically search for 24/7 or emergency plumbers in the area. Mobile and location-based search have made it possible to pinpoint users in these very specific moments of need. To capitalise on these moments, you need to know why your target audience turns to search in the first place and what specific problem they’re trying to solve. 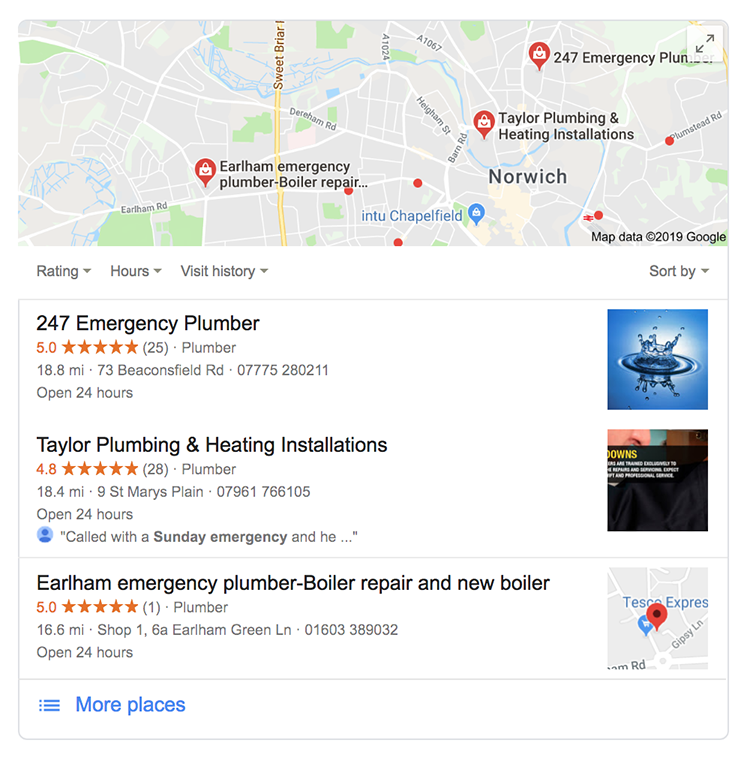 There are only three listings in local packs now and Google is getting very good at delivering the most relevant results to individual queries. So you really need to pinpoint what people are after (e.g. not just restaurants but restaurants open at specific times) and make sure Google has this information about your business. And, as voice technology plays a bigger role in local SEO, things are only going to get more competitive. High purchase intent: Location-based searches have some of the highest levels of purchase intent of all online activities. Immediacy: Local searches also generally indicate users are looking to buy now or in the very near future. Location-based searches aren’t your typical browsing session, such as those where people are reviewing the best TVs of 2019. Instead, these are sessions where people are looking to find a local tech store with the model they want in stock, so they can see the product with their own eyes. Of course, there are some exceptions (e.g. 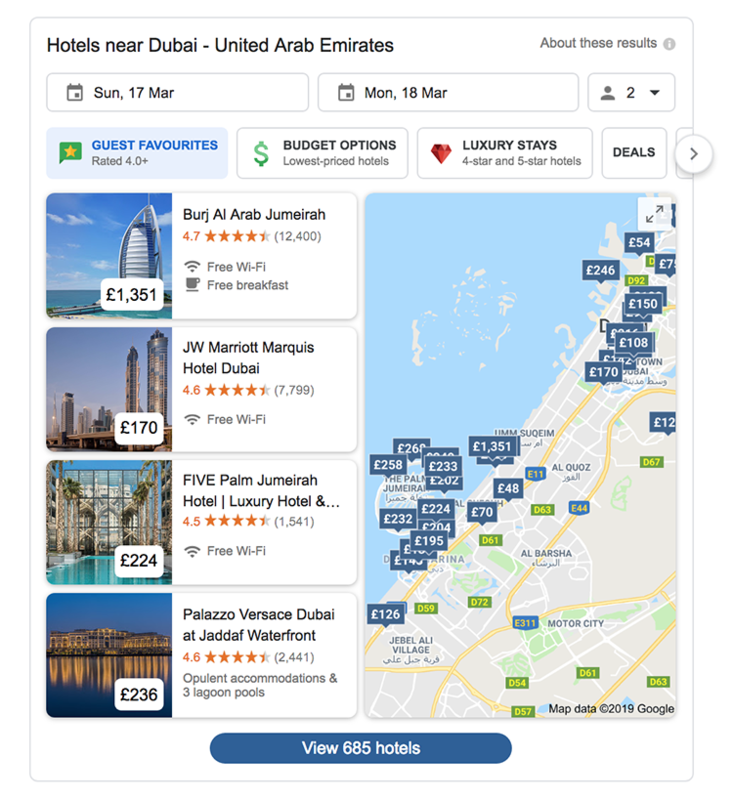 hotel bookings) but the vast majority of location-based searches involve people who want to interact with brands, products or services in the real world – to do things they can’t do online. So, in most cases, your goal with location-based SEO is to get people walking through your business’s doors. 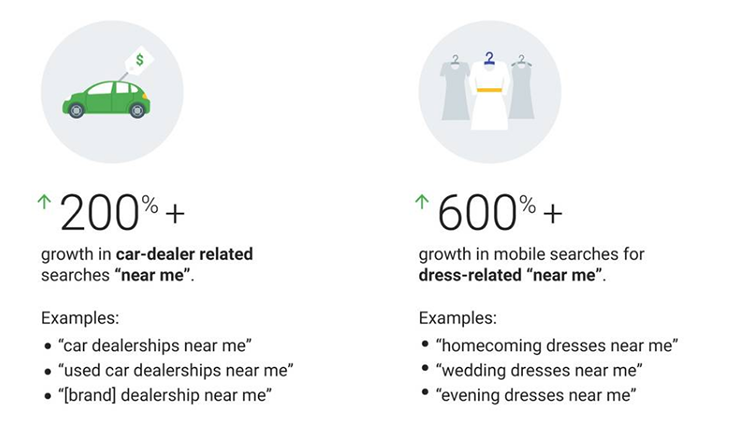 Google says it saw a 200%+ increase in “near me” searches related to car dealers between 2015-2017 and a 600%+ increase in “near me” searches related to dresses during the same period. Car buyers can’t test drive cars online and clothes shoppers can’t try on dresses with their mobile. For this, they need to find a business in their area that has the products they’re looking for – and this is where local SEO breaks down the online/offline divide. Once you know which problem users are trying to solve with location-based searches (test driving cars, trying on clothes, taking a look at TVs etc), you can make this a focal point of your marketing messages. Make it clear people can do these things by visiting your business. Generating foot traffic from local SEO gets you off to a great start but the most innovative brands are now using mobile to enhance the in-store experience for their customers. The 2018 Retail Sector Report, entitled The Convergence Continuum, revealed that 74% of millennials still prefer to shop in-store but 51% want to use their phones more to navigate, get information and pay while browsing in shops. Crucially, 77% of consumers surveyed in the report said they were open to the idea of exchanging data for discounts and special deals. Google research has highlighted before how much consumers use their smartphones as they shop in-store and it’s vital retailers adapt to this. 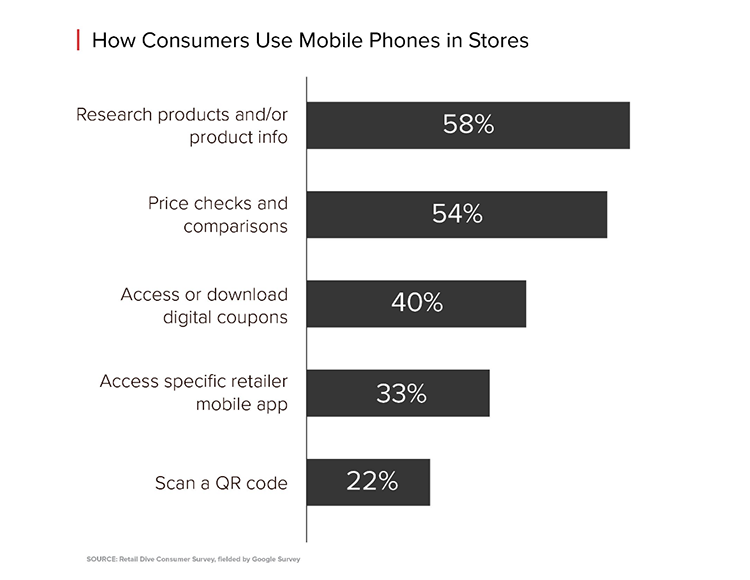 Meanwhile, separate research from Retail Drive examines how consumers are using their smartphones once they walk through a business’s doors. The majority of shoppers are looking to find out more about products, more than half are comparing prices and 40% are using their phones to access digital coupons. This gives retailers the chance to direct consumers to their own website or app in-store to find out more about products and gain access to coupons and other deals. Help these people make better buying decisions and take the opportunity to get them more involved with your brand. This strategy works incredibly well for retail brands. The leading names in hospitality and food are taking a different approach to turning location-based search into better in-store experiences – and, ultimately, loyal customers. One of the best examples of this in-store mobile experience is the Starbucks app, which allows customers to pay for their coffee, collect points and get free rewards. 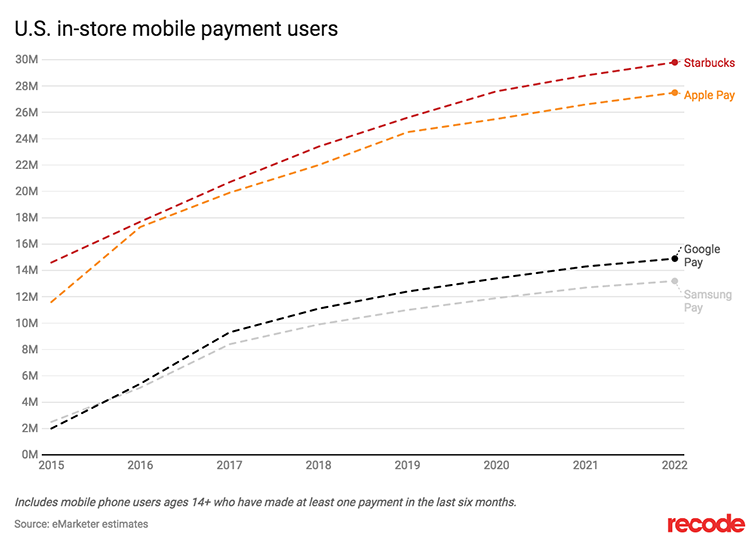 This app is so popular in the US that it has more users than both Apple Pay and Google Pay – it’s the most widely used mobile payment app in the US and it’s not even a mobile payment app. More importantly for Starbucks, its app improves the in-store experience for its customers and even gamifies it by rewarding people every time they buy a coffee. More rewards mean more incentive and customers only have more reason to keep coming back to Starbucks. Starbucks isn’t the only chain company taking this approach either. Greene King has its own mobile app that allows customers to browse menus, book tables, check out deals, order food and pay for their meals. 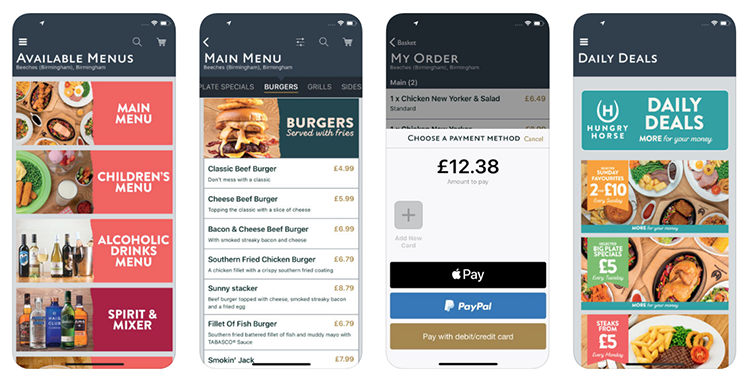 Friends can even split their meal between them by paying through the app and Greene King rewards them for every purchase. Wherever these customers are around the country, they know they can search for the nearest Greene King pub, book a table and get their food on order. Now that we’ve explained the importance of location-based search, let’s explain how you need to optimise for this strategy in 2019. Things have changed a lot in recent years but most of the fundamentals are the same – so you should have the basics in place already. Your website is the hub of your entire online presence and this counts for location-based SEO as well. While Google Maps gives users all the essential details about your business (e.g. opening times), it doesn’t provide you any space to get branded messages across or other information people need – for example, checking if you’ve actually got the product they’re after in stock. Mobile optimisation: The vast majority of local searches take place on smartphones so make sure your site performs well on mobile devices. Loading times: You don’t want to kill the experience as soon as users try to click through to your site so keep your loading times in order – especially on mobile. Web content: Be sure what kind of messages you want to get across to your target audience and factor local search needs into your content. If people in your local area want to see your products in the flesh, make it clear they can visit you to do so on your homepage. NAP details: These need to be consistent across your website and anywhere else they’re listed (Google My Business, directory sites, review sites etc). Schema markup gives Google more information about your business at the code level, helping it deliver your content to the most relevant audience. 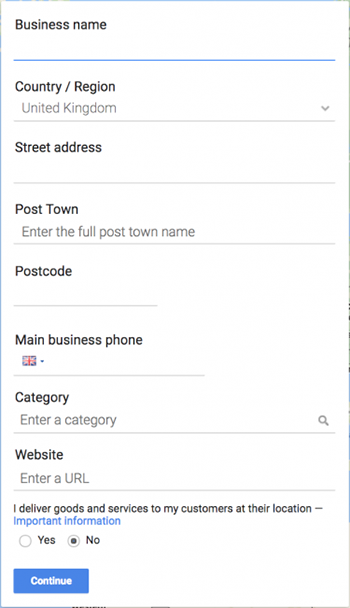 This applies to location-based search as well – you can use LocalBusiness schema to provide Google with in-depth details about your business and provide users with more info – such as opening times during the holiday season or price ranges for your products. You can also use this to implement actions on your Google My Business listing, allowing users to book appointments, reserve hotel rooms or book a table. Adding schema to your pages can be a tricky process but it provides users with the kind of info that helps them make buying decisions – so it’s worth the effort. 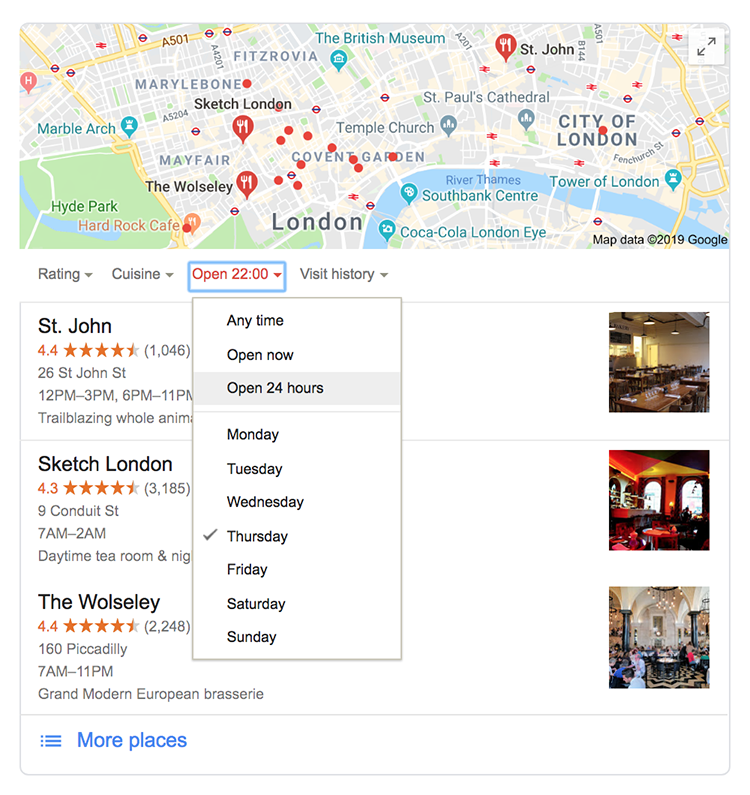 Google wants to make sure it provides the most relevant results to local searchers and gives them all the info they need to decide on a business: location, opening times, reviews etc. Which means you first give this data to the search giant through your Google My Business (GMB) account – this should be 100% complete. Also, think about what kind of images you want users to see on your local listing. While users can upload their own images of your business for others to see, you can also upload your own pictures in certain categories (e.g. pubs and restaurants), such as menus, food, interiors and other criteria. Aside from linking to your website and providing users with directions to your business location, Google also allows local searchers to call your business up directly. Sometimes, people might want to check you have an item in stock or confirm a pub is showing the football match they want to watch before paying a visit. Whatever the reason, be ready to pick up the phone and confirm you can deliver what local users are after. Reviews are massive when it comes to location-based searches. This is one of the fastest ways for users to differentiate between you and rival businesses. 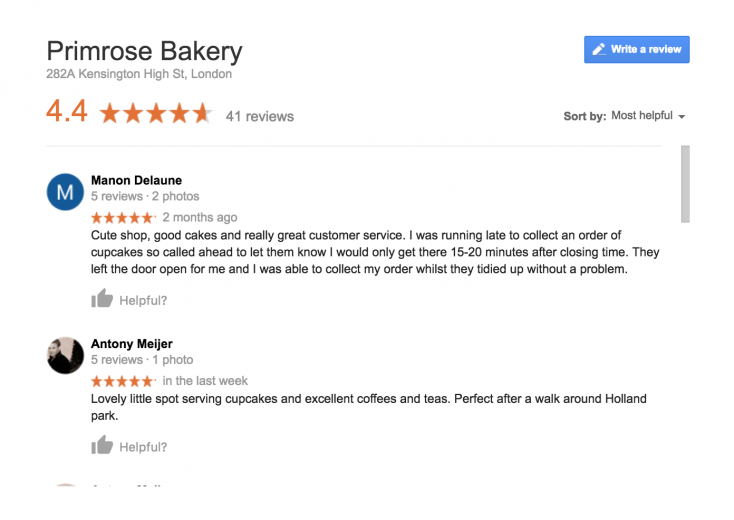 A strong profile of positive feedback on Google Reviews is one of the most important factors when it comes to turning local search into genuine leads – especially if you’re a brand users don’t already know and trust. 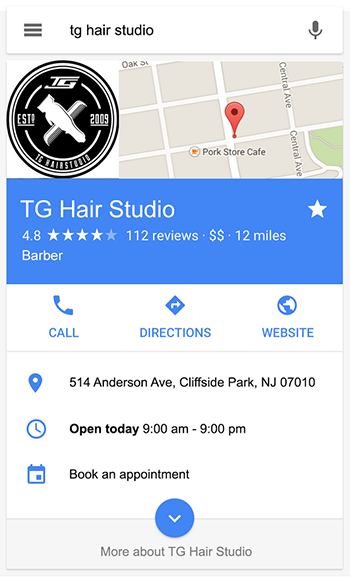 Google takes citations and brand mentions into consideration with its local listing algorithm. A citation is when another website mentions your brand without actually linking to your site. These aren’t as strong as inbound links from reputable local sources but they do give Google confidence that you’re a genuine business people are talking about. Location-based search gives businesses with physical locations a concrete channel to generate foot traffic and bridge the online/offline divide. As a lead-gen strategy, you’re looking at prospects with incredibly high purchase intent and a desire to make the purchase now. Even a fairly basic local SEO strategy can turn online searches into real-world customers, but leading brands are going much further than this. By using mobile to enhance the experience of buying and using products/services, brands are turning local searches into loyal customers that keep coming back to them – and this is proving particularly powerful for brands with business locations across the country. We have a team of specialists who focus purely on local SEO and are achieving fantastic results for our customers. If you’d like to find out more about how we can help you, drop us your details and we’ll get in touch. It can feel like a disaster when the first negative review rolls in but this is all a natural part of the process and nothing to fear. In this article, we’re going to look at how to handle negative reviews and how you can use them to improve your brand image.